Buy-to-let is leading investment demand in 2016, reveals new research from Lead Galaxy. The lead generation specialist’s analysis of advertising spend over the year to date reveals that residential buy-to-let has generated the biggest response from investors, accounting for 38 per cent of marketing spend. 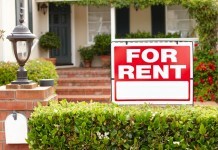 This is the second year in a row that buy-to-let has been the most popular asset class among international investors, despite a number of new law changes impacting the sector. 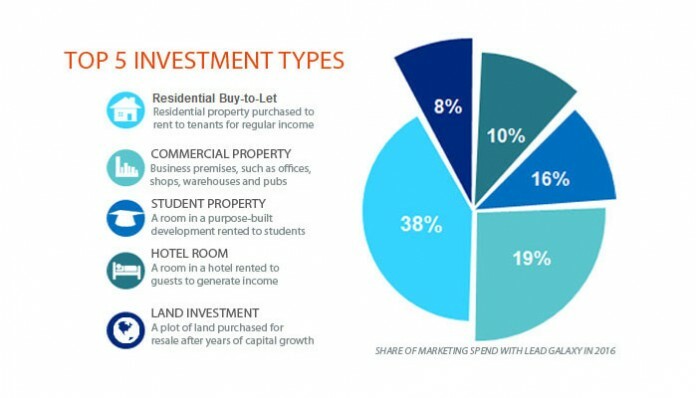 Commercial property was the second most popular asset class, accounting for 18 per cent of advertising spend in 2016, followed by student accommodation (16 per cent) and hotel rooms (10 per cent). Land plot investments (7 per cent) completed the top five. Commercial property is the rising star of 2016, with advertising spend surging 276 per cent compared to the same period last year. Interest in off-plan new build property has also risen 18 per cent. Buy-to-let has proven the most resilient big player, though, with spend rising 4 per cent to extend its lead. “Buy-to-let remains the biggest driver of real estate marketing in 2016,” comments Lead Galaxy CEO Dan Johnson. “The sector has faced a number of headwinds in the last year, with the UK government introducing a stamp duty surcharge on additional property purchases and incrementally removing mortgage interest tax relief from April 2017. 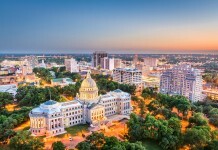 Investors are evidently not deterred, though, as the sector has not only remained the biggest driver of activity, but also grown by 4 per cent. Whatever your asset appetite, reach highly targeted audiences around the world with Lead Galaxy. For more information, click here. 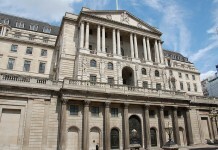 What does the Bank of England interest rate hike mean for landlords?